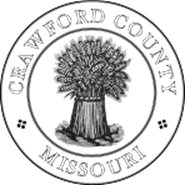 You must reside in Crawford County to be a registered voter of Crawford County. Registration is available at the Clerk’s Office in the Crawford County Courthouse in Steelville. Click here for directions. Crawford County residents may also register at their local vehicle license office, at City Hall, or at the County Health Department. A valid ID is required to verify your name and current address. If you have recently changed your address, please notify us and we will update your registration and send you a new voter ID card. If your address has not been changed in our records by election day you will need to bring proof of residency, such as a utility bill, in order to vote. The last day to register to vote for an election is the fourth Wednesday prior to the election date. You may apply for an absentee ballot in person or by phone if you are unable to go to the polls on election day. The first day you may apply is the sixth Tuesday prior to the election date (or within 14 days of certification of the election). This application must be signed and returned to our office by the Wednesday prior to the election date if we are mailing your ballot. Upon signing and returning your application, you will be given (or sent by mail) a ballot. Absentee ballots must be voted in our office by the Monday prior to the election, or received by mail on or before the day of the election. Reasons for voting absentee include absence on election day, employed as an election authority, illness/disability, incapacitation/caregiver, incarceration, permanently disabled, or religious belief. Permanent absentee applications are available for those meeting certain eligibility requirements. There are seven polling places in Crawford County to accommodate our 18 precincts and 9 townships. The first day for filing a declaration of candidacy for an election is the sixteenth Tuesday prior to the election date. The final certification deadline for candidacy for any election is the eleventh Tuesday prior to the election date. You must file your candidacy with the County Clerk for county offices and at the entity if it is for a municipal election. For other candidacy information you may contact the Secretary of State by clicking here. Please bring your driver’s license, registration or clear title, paid personal property tax receipt & proof of insurance. The cost is $15 per year. They are available through 2019. You will need to bring your bond, ID and $5 for the Clerk fee. You must be registered with the state to apply for a County liquor license. 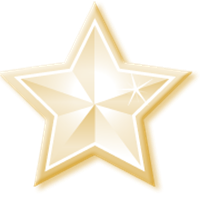 For state license information click here. The Clerk requires a $5 fee per license in addition to the appropriate license fee.